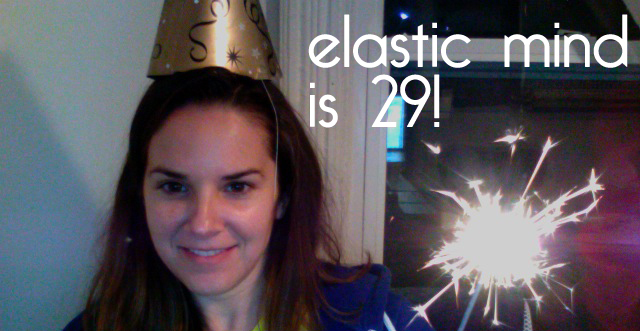 It's my 29th birthday today and in celebration I thought I would shine the Innerpreneur Spotlight on myself. curious about the world. I adore exploring culture and how personal development and enterprise creates positive social change. passion and meaning. And what that means to you as a unique individual. And what it could change in your Self and your world if you were to explore it. define and design your business identity and create an authentic online experience to support and grow it. [tweetmeme] Last week I attended a 3-day coaching training program at Integral Coaching Canada. I'd never had any coaching training before and I felt it was important for my Self and my business to have my foundations built in a school of knowledge. There are many coaching schools in Canada, and throughout the world, but when I learned there was a coaching school based on Ken Wilbur's Integral Theory AND run by the Integral Institute, AND that it was in Canada, AND 4 hours away in Ottawa, I knew it was the place for me. Integral Theory encompasses and expands on the Cultural Creative wordview. It is a holistic model, "a theory of everything" that outlines and explains the perspectives or lens through which every human sees and understands the world. Perhaps you've noticed, but I don't really do endorsements here. I just can't get behind a person, a place or a thing that I haven't experienced directly, and derived value from. How could I assure you of the value of something or someone I've never actually worked with? I can't. So I won't. And I haven't. This decision is despite 'information' otherwise insinuating that one could grow rich and buy a yacht if only they had some affiliate advertising on their site. I love money, I do, but my focus is on value. And I will not support things just because I can profit from them. I am committed to associating with excellence, in every facet of everything I do. I can not ignore the cost to my business of promoting the mediocre, and not really helping people. It is not worth compromising my most prized asset, my integrity. Two weeks ago, Mark Dykeman of Thoughtwrestling offered me a free review copy of his ebook on mind mapping.